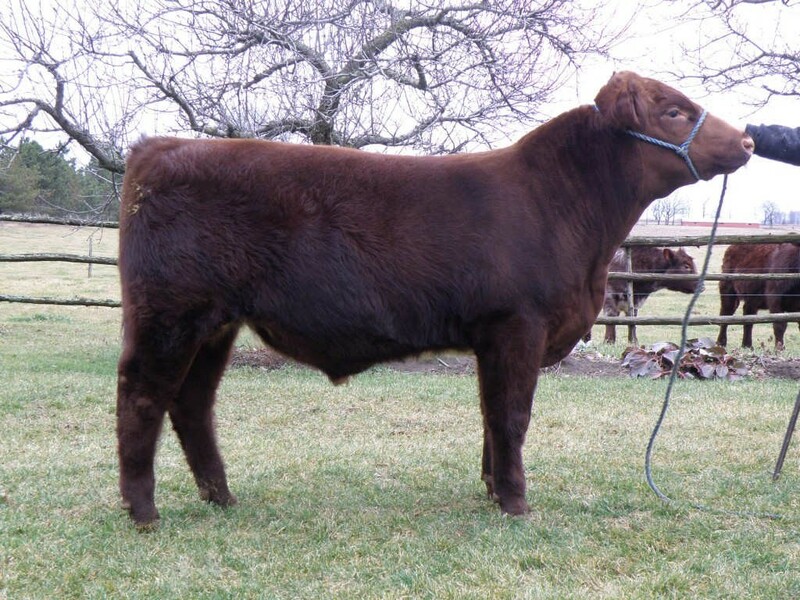 Sired by the popular AI sire JSF Gauge, this rascal’s two year old dam did a tremendous job. Big based, big topped, and a big middle. 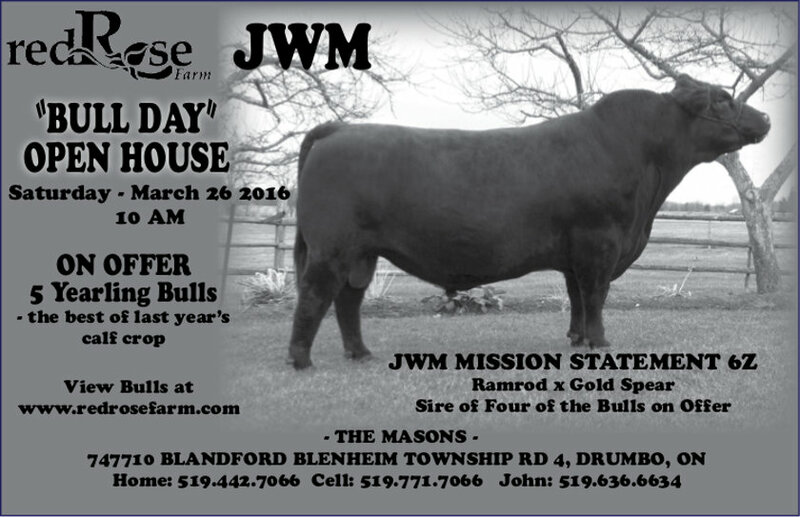 This is a moderate sized bull that can add some extra shape and power. This calf has been Johns favorite since the day he hit the ground. Clearly is balanced and complete from end to end with a little extra pop! 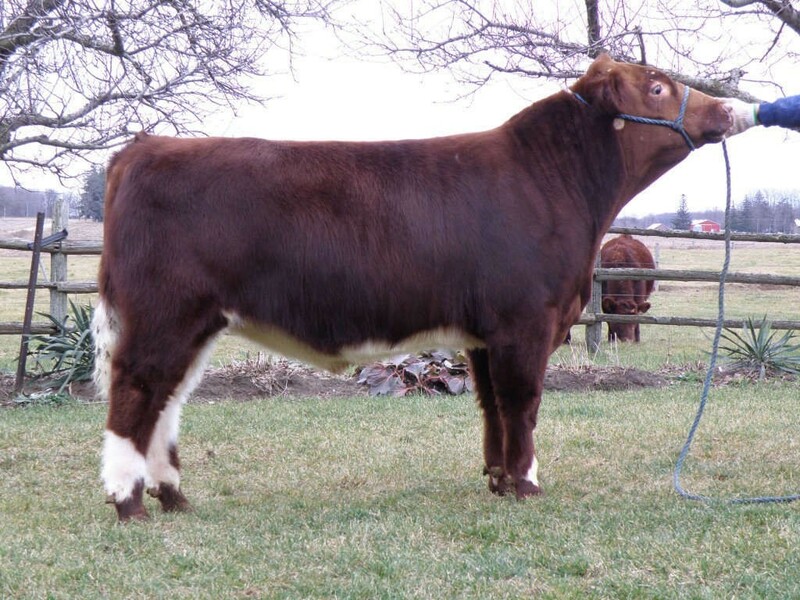 Take him home, run him with your elite heifers this spring, then collect a few banners this fall in the showring. This bull combines the top two cow families here – the Stardusts and the Roan Lady’s. Just study his pedigree – this guy has it all. 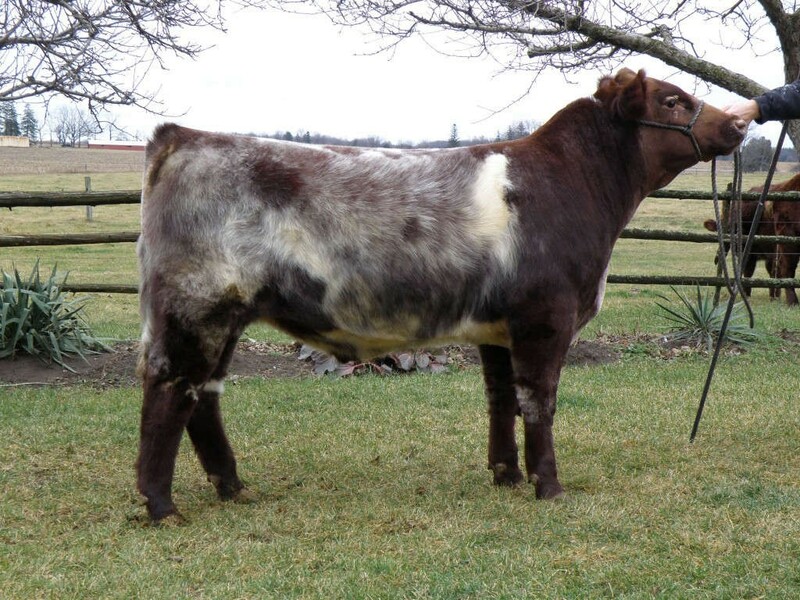 JWM Shorthorns has been based around three cow families: the Stardust’s, the Raggedy Anne’s and the Lady’s. These families are as powerful and consistent as each other. Mission Complete is a combination of all three. This guy is extra stylish, as long as a freight train, strong topped, and still carries a big middle and hip that has become a standard in the Mission Statement calves. 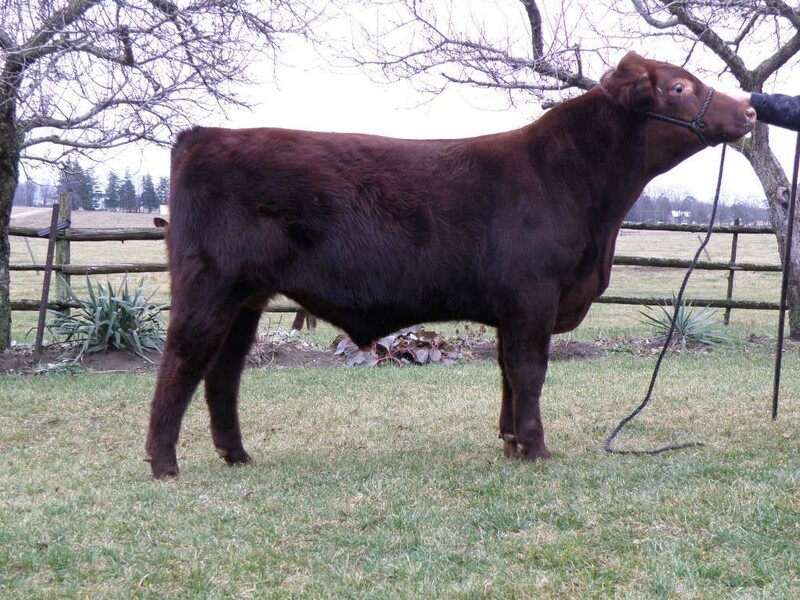 Another Stardust x Roan Lady cow family combination. What a powerhouse we have here. This must have been the last bull to be pictured and time and patience must have been in short supply. Envoy is characteristic of all the Mission Statement calves: clean fronted, explosive middle third and as thick as they come. 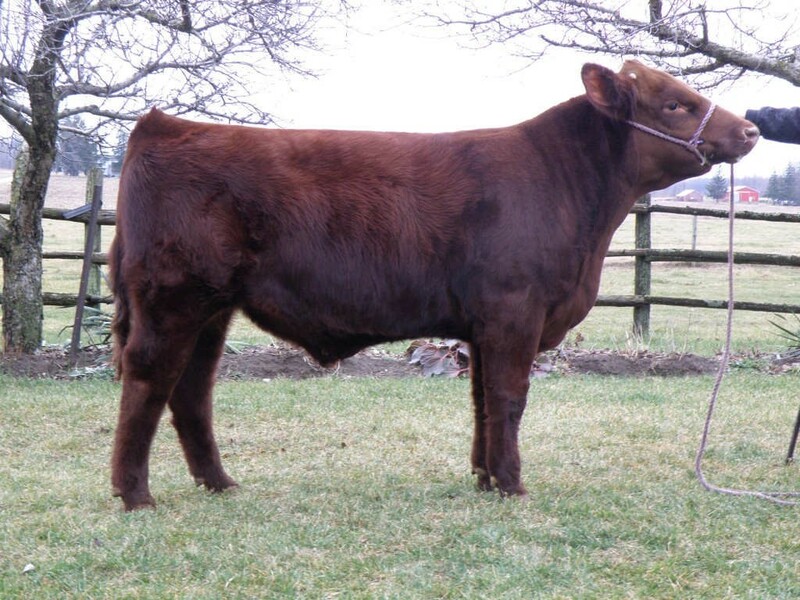 Byland June ORW39 was purchased to add a powerful unique pedigree to the Red Rose herd. She has become a standout cow and is a consistent breeding female. Second Glance is aptly named and deserves just that and more. He is long spined and stylish without giving up any shape and power.